Knicks fans remember the 1993 - 1994 season all too clearly. New York taking first place in the Atlantic Division with a 57–25 record. Patrick Ewing, John Starks and Charles Oakley playing the best basketball of their careers. Defeating the New Jersey Nets in the first round, conquering Chicago Bulls in the semifinals, and winning the Eastern Conference Finals against the Indiana Pacers. The New York Knicks advanced to the 1994 NBA Finals where they would lose in seven games to the Houston Rockets. 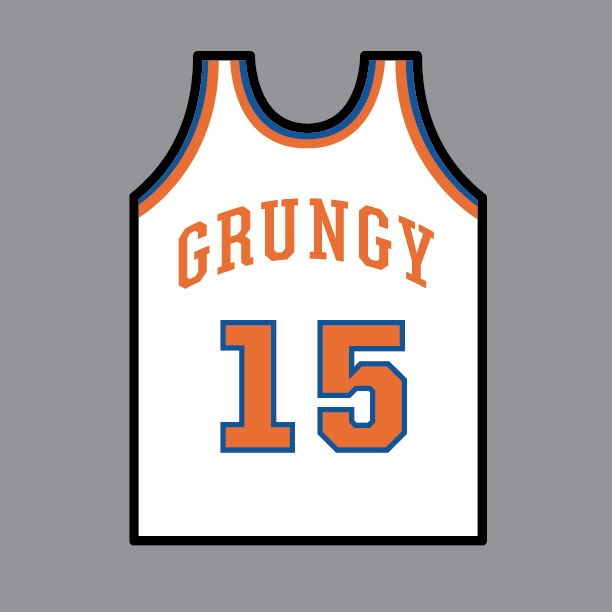 Grungy Gentleman x Harsky collaborated on a jersey concept inspired by the 1993-1994 New York Knicks NBA uniforms.